Decrease transaction time and provide an easy to navigate grid of frequently sold items with your own Quick Access Bar. Originally designed for items without barcodes and service items the Quick Access Bar has evolved in many new and exciting ways. Now layout formatting puts you in complete control of your register screen on each of your register stations. Have a snack bar that only sells a few items? 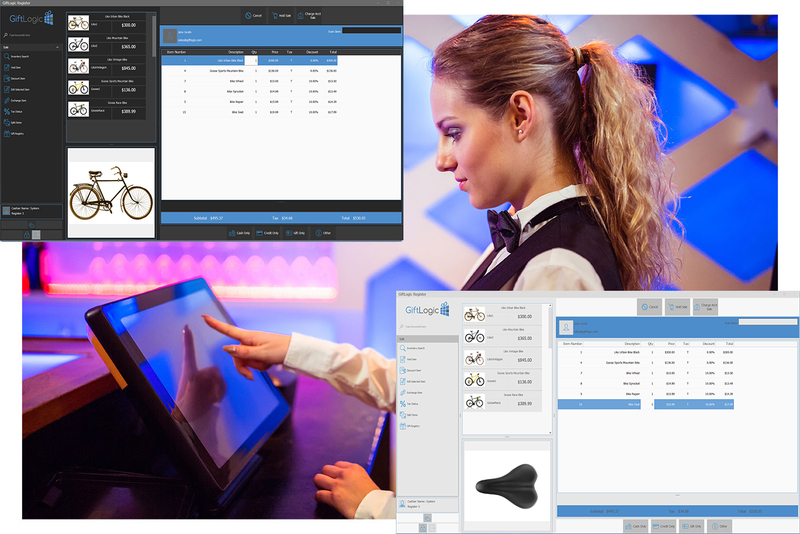 GiftLogic's Quick Access Bar makes it a breeze to define your selections and simplify the transaction process. The Quick Access Bar can be organized like a catalog with breakdowns by size, color, department, and attribute. With each register having the capability to have a unique layout, you’re completely optimized.